Cities Connection Project | 1077 PROJECT. BELLINZONA. 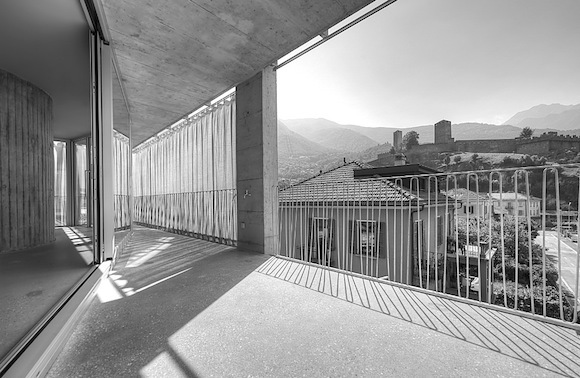 The structure stands on a corner lot in a late 19th century neighborhood, at the foot of the Castelgrande fortress in Bellinzona. Over time, the neighborhood has maintained the original structures of villas with gardens. The building consists of four apartments, each located on a separate floor. Due to the high water table, and similar to the other villas in the neighborhood, the ground floor is raised approxi- mately 1.40 meters above the garden. Access to the building is through an external portico on the ground floor which is lower than the road and acces- sible by a staircase and a ramp. The service rooms are located on this level. From here, the elevator provides direct access to the apartments. 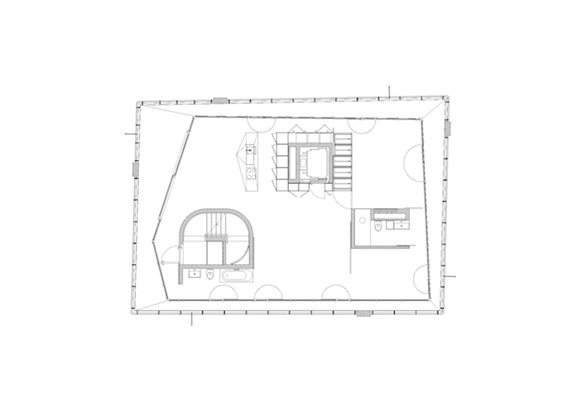 The “open space” plan and 360-degree panoramic win- dows allow maximum freedom in organizing the internal spaces, thereby allowing for a high degree of customiza- tion. The reinforced concrete structure has been streamlined and reduced to the minimums due to the typological choice. The four pillars (one per side) bear the building, while the three internal technical rooms, in addition to their practical function (elevator, staircase and technical column), brace the building. The greater thickness of the slabs at the perimeter of the windows makes the interior flush with the exterior while, at the same time, reinforcing the floors at the generous overhangs. The depth of the terrace varies depending on its orienta- tion so as to ensure more solar heat gains in the winter and optimal shading in the summer. The exterior cur- tains, which slide horizontally, act also as a screen to en- sure the intimacy of the interior spaces where required.